In the UK, EE and O2 are among the largest mobile operators in the UK, alongside Vodafone & Three. Though EE was officially launched in 2012 it came from the merger between T-Mobile and Orange and has really established itself as a leading force. Currently owned by BT, EE is the fastest 4G mobile network today and enjoys about 99% coverage in the UK. O2 on the other hand has had a long standing reputation for quality when it comes to the UK mobile network market and also boasts a 99% population coverage with their priority app a major contributor of value for their customers. The question is: which network comes out on top out of the two? We’ll have to consider several factors such as network coverage, speed, data rollover, customer rewards, price plans and other factors with the networks. We are going to take you through the basics so that you can make an informed decision about which network you should use in 2019. Here’s our comparative review of EE vs. O2. 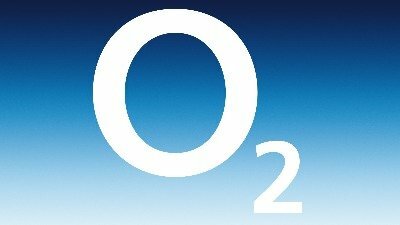 O2’s has always been known for quality when it comes to the UK mobile network market, but that reputation also means customers can expect to pay slightly more. O2 customers get access to excellent perks such as O2 priority which offers customers discounts and freebies from well-known retailers & exclusive early access to purchase tickets for gigs & concerts. O2 still get the basics right with 99% UK 4G coverage, but they are tracking behind the other big Mobile Network Operators when it comes to data speeds. Click here to read our full O2 Review. In terms of network coverage, EE’s basic 4G network is available to about 99% of mobile customers in the UK. 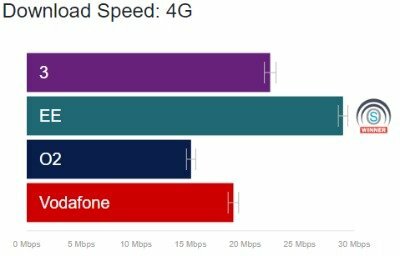 EE also has a double-speed 4G network but this is widely limited to major towns and cities while 4G+ is only available in select major cities. As for 02, it also enjoys good coverage; with 99% of UK customers able to access the network. We recommend checking out both networks coverage checkers if you have any concerns about coverage in your area. In terms of network speeds, EE leads the way with an average download speed of about 28.9 Mb/s. Being at the forefront of investment and roll out of 4G has meant they are able to offer the fastest speeds in the market. Since then, they have continuously added speed upgrades with the recent ones being double-speed 4G and 4G+, with the latter claiming a download speed of 150MB+ in certain major cities. O2 4G speed, in contrast, is generally slower if compared to EE with an average download speed of 14.6 Mb/s. Overall, EE enjoys the best network coverage and speeds in the UK. Both networks offer 99% coverage but EE’s data speeds are what separate them. As for 3G, there isn’t much to compare between the two networks as you get similar performance in terms of speed and coverage on both networks. It’s generally not a problem to receive or make a call on O2 when in the UK. However, the quality lags behind that of EE. The good news is that they have introduced 4G calling which helps to improve the voice call quality on selected O2 devices. EE performed generally better than O2 and all the other networks in voice call quality tests with better audio clarity and faster connection times when making and receiving calls. The call quality is impressive in both city and rural locations as well as when roaming abroad. You may not have a major issue when making a voice call on O2 coverage but its quality can’t match that of EE. So, EE takes this section. Tethering basically refers to the act of converting your mobile phone into a Wi-Fi hotspot so that other Wi-Fi enabled devices can access the network. In this category, O2 performs really well. Whether you are on a PAYG or a pay monthly plan, you can tether conveniently. EE also offers you standard tethering regardless of whether you have a pay monthly or PAYG plan. This is a draw. Both allow you to open a Wi-Fi hotspot easily and you can tether multiple devices without any issues. EE gives you free international roaming benefits in all EU countries if you are on a Pay Monthly tariff. EE however takes this one step further and provides an additional 5 roaming destinations to its customers which are Australia, USA, Mexico, Canada & New Zealand – however with the caveat that these are only for customers on the 4GEE Max plans. The other advantage is that you enjoy 4G speed on international roaming if it’s available in your country you are visiting. On O2 pay monthly tariffs, you are able to enjoy free international roaming in the following European countries. They have also introduced a roaming offer in non-EU nations like the US, Dubai, and Australia by purchasing a daily £4.99 bolt on. Generally, both networks offer standard international roaming services. However, if EE comes out on top due to their 4G roaming speeds and free non-EU roaming destinations. Vodafone has no roaming charges in 77 destinations worldwide with their Red Entertainment Plans – check out our detailed review to find out more. EE was the first network to launch high-speed Wi-Fi calling. Wi-Fi calling gives customers the opportunity to make calls in locations with limited network service. The service works on both pay monthly contracts and SIM-only deals, but doesn’t apply to PAYG plans. Nevertheless, you’ll need a phone that supports the service to receive a call over Wi-Fi. You can get the list here. 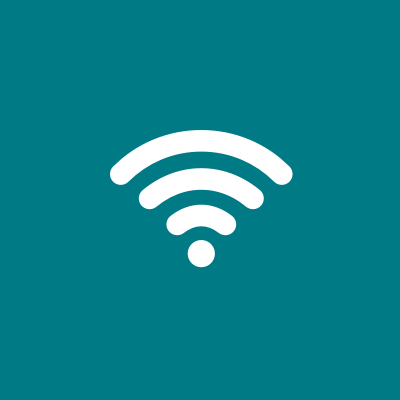 In terms of Wi-Fi hotspots, these are limited to only Virgin Wi-Fi on the London underground, this provides EE customers with free Wi-Fi at over 250 stations to keep you connected. O2 also supports Wi-Fi calling but this is limited to certain devices – you can get the list here. In a number of cases, you have to purchase the device from O2 to get Wi-Fi calling. As for free Wi-Fi hotspots, over 7,000 are available for O2 in the UK. This is a draw, EE has a simple to use Wi-Fi calling proposition but O2 offers customers over 7,000 Wi-Fi hotspots which connect and help you save on data if you are in range. However, for the best network for Wi-Fi calling we recommend Three with their seamless connectivity. Data rollover is a perk that allows you to transfer your unused monthly bundles to the following month. For instance, if you are on a 2 GB monthly bundle plan and only used 1GB of your allowance, it’ll be rolled over to the following month. So, you’ll have 3GB in the subsequent month. With O2, data rollover is only available on the PAYG plan. In this case, you are required to top up before your monthly bundles expire. Similarly to O2, only PAYG customers have access to data rollover with EE. If you are a pay monthly contract or SIM only customer you won’t have access to this perk. Additionally with EE, to take advantage of data rollover you’ll have to top up your bundle before it expires. Both networks offer you up to 20 GB bundle allowance and you are able to roll over the data. Since the offer is available on PAYG for both networks, we’ll have to rule a draw here. Our best network for data rollover is SMARTY, with SMARTY you get money back for any unused data – meaning you never waste any data again. EE has just upgraded its family offers for 2019. For example, you can now enjoy a 10% discount off pay monthly products like tablet deals, SIM-only plans (exceeding £12.99), and phone contracts. They also have data gifting plans which allow you to share data from one plan to another if they are on the same account. O2 offers up to 50% off additional plans to its customers – you can check out our detailed O2 review to learn more. O2 also has a sharer plan option to share data across any SIM’s whether these are in a phone or tablet. We recommend O2 as they offer up to 50% off on any additional plan and match EE’s data gifting offer with their sharer plans. For so many years, O2 has been offering customers rewards like freebies, coupons, and discounts with the O2 priority app. The program applies to PAYG and Pay Monthly plans. They also have the opportunity to get tickets for gigs and events before general sale. These savings are also not just limited to pay monthly or SIM customer and are also available to PAYG customers. However, we found EE limited in this regard, with no regular perks such as free drinks/meals and discounts at popular retailers. 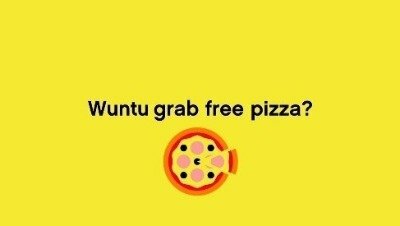 This is common with O2 Priority and Three’s Wuntu App. If you are looking for incredible customer rewards, our top recommendation has to be O2. Regardless of whether you are a pay monthly, SIM or PAYG customers you get access to a range of great perks. As for O2, they’re generally limited in this regard. We’ve already talked about their O2 priority offer which is available to all customers including PAYG but beyond that, they don’t offer any additional perks such as premium subscriptions. EE clearly comes out on top here with access to perks such as the BT Sports App which has a generally expensive monthly cost. From the above comparative review of EE vs. O2, it’s clear both networks do a lot of things right. However, when it comes to the basics of network coverage and speed EE leads the way with their continual investment in providing the UK’s fastest network to its customers. On top of this, EE has moved beyond just offering customers minutes, texts & data bundles and is now offering access to premium services such as the BT sport app & Apple music to incentivise customers to join. Despite this O2, do a lot of things well, with their priority app being the gold standard for customer rewards in the mobile industry. However, based on Half Cooked’s review we have EE coming out on top. 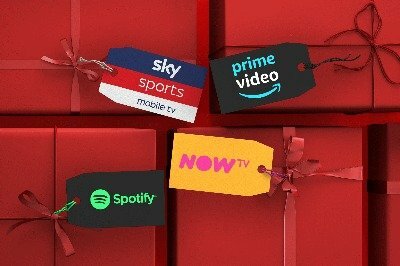 Next articleVodafone vs Three Review 2019: Sky Sports Mobile Subscription or Unlimited Netflix Streaming?